← Qui est Cette Fille? I’m sure most of you remem­ber the Banana Splits. They were that famous and influ­en­tial rock band that changed the face of the ‘60s with their music; songs that have stood the test of time and are still with us today. Late in the band’s career, things had begun to get hec­tic and stress­ful. The mem­bers’ lives were head­ing in dif­fer­ent direc­tions. They were grow­ing apart; no longer the same wide-eyed kids they were when they start­ed out. 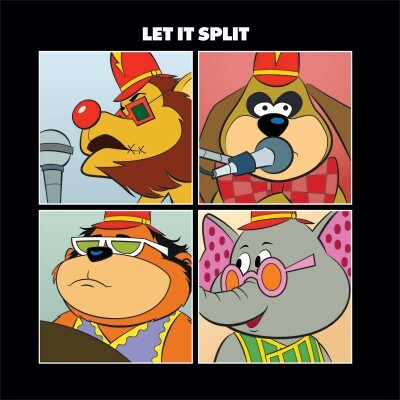 But before they called it a day, they put out one final album: Let It Split. Okay, not real­ly. I just made up all that stuff. Knowl­edge­able vis­i­tors will real­ize that what I’ve done here is a riff off the cov­er of the Bea­t­les’ last album, Let It Be, only recast with the mem­bers of the Banana Splits. Going clock­wise from the upper left, you have Droop­er, Flee­gle, Snorky and Bin­go. This entry was posted in Animation, Personal and tagged Adobe Illustrator, Hanna-Barbera, Music. Bookmark the permalink. Uh, not that I can recall, no. But I wouldn’t have put it past the writ­ers to have used that song as part of some kind of a slap­stick qua­si-vaude­ville bit. Pos­si­bly also involv­ing the Sour Grapes Bunch. They did a lot of those kinds of things. Great Image. I haven’t seen this album in years. Fun fact for your read­ers: The Mon­kees, Kiss and the Banana Splits are THE SAME FOUR GUYS…just try­ing dif­fer­ent gim­micks in dif­fer­ent peri­ods. …And that sound you hear in the dis­tance is the heads of some peo­ple explod­ing, out there on the inter­net. I’m glad you like this, Lance! Thanks for stop­ping by. This is very clever! You brought togeth­er my first bands in such a love­ly way. 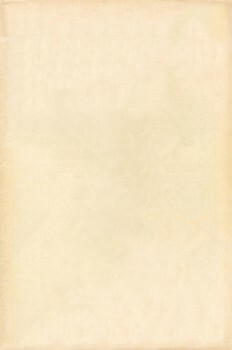 I’ve seen many ‘Let It Be’ cov­er par­o­dies, but this is my fave. I’m glad you liked it. This was one of those visu­al ideas that, once they pop into your head, they stay there until you let them out.